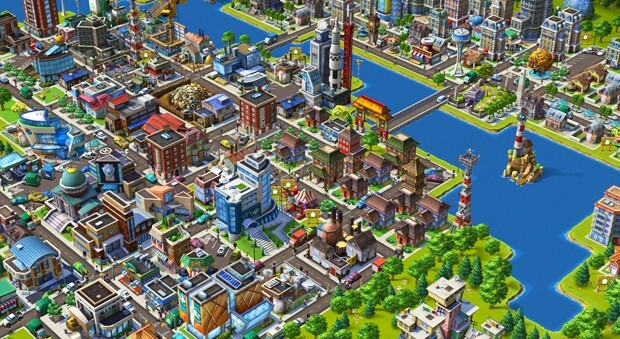 Online games like CityVille are being played multi-generationally within families. “These interactions prove social networks are tools that break down both communication and age barriers,” says researcher Kelly Boudreau. The next time you berate yourself for wasting an evening playing Farmville on Facebook, think again. If you were playing with Mom, Dad or Aunt Carmen, you were actually helping to strengthen family bonds. New research published in Information, Communication and Society shows that, beyond being a fun distraction, social network games (SNGs) can offer family members a meaningful way to interact and meet social obligations. For the study, Consalvo and co-author Kelly Boudreau, a research fellow at Concordia’s Technoculture Art and Games Centre, polled a group of social network gamers. Using a questionnaire and follow-up interviews, the researchers explored what it means to interact with family members via SNGs. They found that these online games offer families a common topic of conversation and enhance the quality of time spent together, despite the fact that most SNGs don’t necessarily involve any direct communication. The games can also bring together family members who may be only distantly connected, with respondents citing experiences such as connecting with long-lost cousins or bolstering relationships with aging aunts. That trans-generational nature of online play was something that surprised Boudreau, who uses SNGs to stay connected to her family back home in Canada now that she is a lecturer in Game Studies at Brunel University in England. “It’s not just siblings in their early 20s using SNGs to connect. Grandfathers are playing online games with granddaughters, mothers with sons. These multi-generational interactions prove social networks are tools that break down both communication and age barriers,” says Boudreau. With online games like Candy Crush Saga increasingly replacing traditional board games such as Clue, SNGs are quickly becoming an important way to interact socially. Consalvo sees this not only as a chance for families to connect, but also as a relatively unexplored opportunity for game designers.